December is always a month to look forward to with the abundance of Holiday parties. But when you're rushing from party to party it's sometimes difficult to figure out what to bring. Thankfully, Mariano's has put together a beautiful wine and cheese pairing list for you this month, perfect for any party! So instead of worrying about what to bring to those NYE parties, pick up a set of the wine & cheese pairings listed below from your neighborhood Mariano's! They are sure to please! 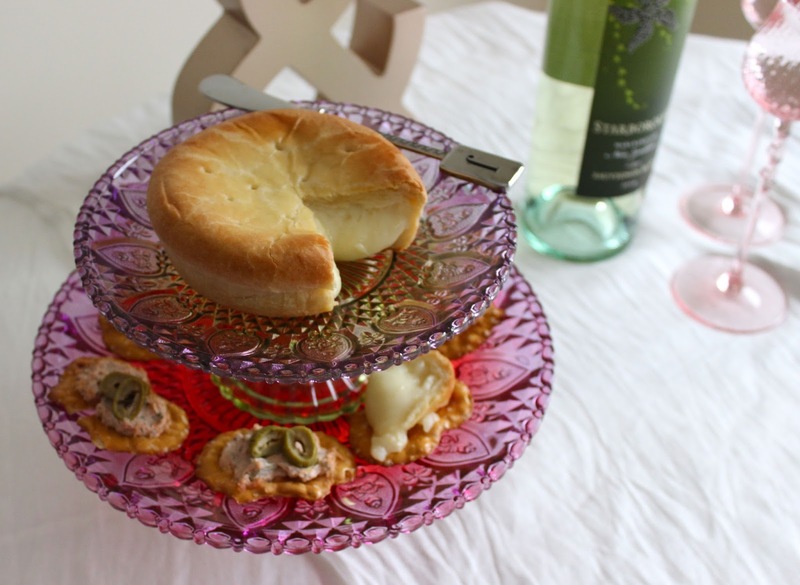 I'll be bringing this scrumptious brie en croute and fruity Starborough Sauvignon Blanc pairing to my next party! Apothic Red and Dark: Lush and rich with flavors of raspberry, dark chocolate and vanilla. Pairs well with beef and steak, hearty vegetable dishes and is great for sipping by the fire. Made at the ''Farm of rejuvenation'' in Northern France, this brie is the best we've found yet. Mushroomy and fungal, gooey and creamy, you'll get hints of fresh shucked oysters and a tiny bit of iron. We think we're in love! Moet Brut Imperial/Veuve Clicquot: Two classic champagnes. Rich yeasty, toasty buttery flavors with a bit of spice in the finish. They pair with the entire meal. Serve well-chilled. Meiomi Pinot noir: Big fruit flavors of cherry and black fruits with spice in the finish. Perfect with meat dishes, appetizers and roasted vegetables. A firm cows’ milk Gouda from Holland that is aged for 3 years. This amber colored cheese hits the palate with an unrivaled creaminess that is heightened by flavors of honey and butterscotch. As those initial flavors fade, a slightly spicy finish emerges that will surely leave you wanting more. Seven Daughters Cabernet: Light and easy-drinking. Pairs well with the entire holiday meal. Bright cherry and berry fruit. Bright and fruity, long crème that isn’t aggressive, speckled with small crystals that provide the perfect texture to keep things interesting. Sweet delicate tang for this exclusive Sartori cheese. Menage Midnight: Wonderful, rich red blend that has flavors of vanilla, chocolate and ripe lush red berries. Pair with meat dishes, roasted poultry and desserts. BellaVitano Gold Immersed in a fine merlot wine. Additional aging allows the parmesan-like flavors to subtly marry with the merlot bringing out very subtle hints of fruits. Dark in color, the wine enhances but does not overwhelm the cheese. Alamos Malbec: Flavors of blueberry and cherry. Pairs well with most meat dishes and appetizers. The color of this gourmet cheese is deep amber and burnt orange with a texture similar to Parmigiano-Reggiano, very firm and flaky. Its rich flavor and subtle sweetness is intense and complex. It is an excellent substitute for grating cheeses, as it caramelizes beautifully; it is even a better cheese with a nice rich red wine or a cool glass of beer. Terlato Friuli Pinot Grigio: Beautiful wine for sipping, cocktails, appetizers and ham, chicken, pasta and roasted turkey, all seafood and even light desserts. The cheese is a fresh, young cheese taken at only three weeks old - it has a clean, mild, slightly sweet flavor with a honeyed aftertaste. The superb texture of fresh Wensleydale is perfectly complemented by the addition of natural ingredients of the finest quality. When this Yorkshire Wensleydale cheese is combined with juicy cranberries you will get a cheese that is a beauty to your eyes and to your taste buds. Joel Gott 815 Cabernet: Rich and lush with flavors of dark red fruits and a touch of oak. Perfect for big meat dishes and chocolate desserts. Stilton becomes milder and mellows with age, so our Mature Stilton makes a perfect introduction blue cheese. It is matured for longer and is soft, rich and creamy but still has that distinctive blue cheese tang. It is made in Leicestershire using local cows’ milk and is protected by a PDO. In fact, Long Clawson is one of only five dairies in the world licensed to make Blue Stilton. 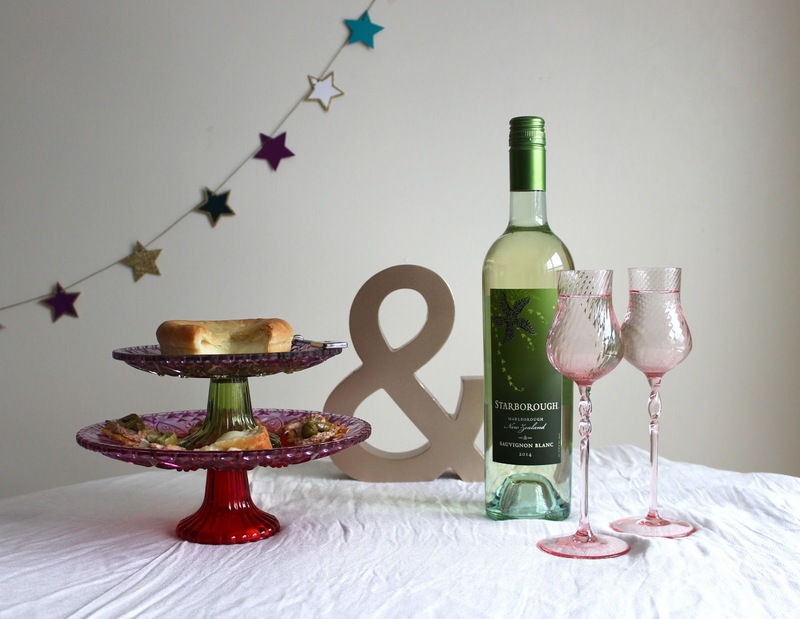 Starborough Sauvignon Blanc: Grapefruit and litchi, wonderful with seafood, like shrimp, salmon and pairs with ham and roasted chicken, duck and turkey. Ready to create an appetizer that looks like you made it at home? Just bake until golden and bubbling to wow. Dense milky brie, enrobed in a perfect pie crust that is flaky and light. Sweet and salty ready to be paired with your favorite compote. 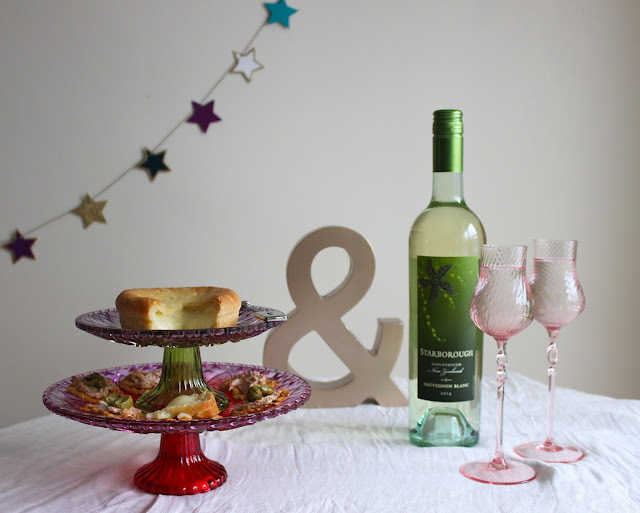 Valdo Prosecco: Easy-drinking Prosecco with flavors of apple and a touch of yeastiness. Great for toasting, welcome wine, mimosas and pairs with everything from seafood to dessert. Another French Classic. A pasteurized cow’s milk cheese with a delicate washed rind. It’s unique concave top is designed to be served with a splash of champagne on top to create an instant cream like texture. Pairs with figs, honey ciders and pinot noirs. Don’t forget the bubbly. Kim Crawford Sauvignon Blanc: The standard for New Zealand Sauvignon blanc. Bright grapefruit and passion fruit flavors. Pair with all seafood, chicken and turkey dishes, along with appetizers of all types. Smooth, creamy, and soft washed rind cow’s milk. A delicate cheese sure to please everyone. Beautifully decorated with a fern leaf. Pair with dried cherries for a tempting round experience. La Marca Prosecco: Bright apple and pear fruit flavors. Pairs well with appetizers, chicken and turkey dishes, shrimp and smoked salmon. This triple creme base is slightly neutral when fresh and speckled with sweet and sour cranberries. Its taste is soft and faintly sour, and complements the tart cranberry flavor. Its texture is as creamy and luscious as whipped butter. It pairs beautifully with champagne. I LOVE wine and cheese! It's one of my favourite things to eat/drink. What a helpful chart!